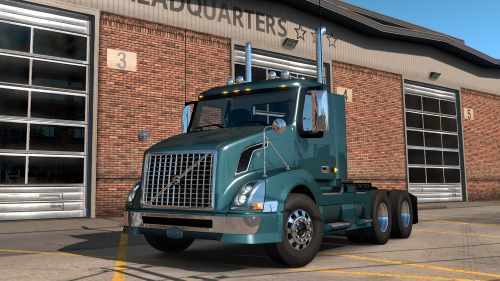 An official version of the Volvo VNL truck is finally making its way in American Truck Simulator! The model that we will get is the previous generation for now. You can get it as a free DLC by updating your game on Steam, probably it will download automatically for you when it will be available. 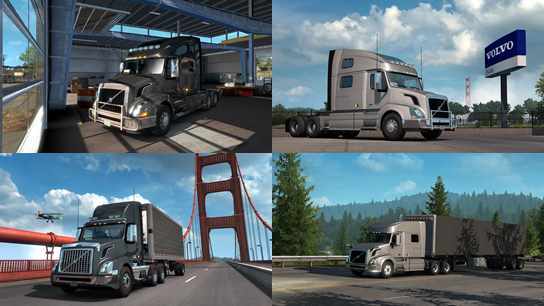 Volvo VNL comes in ATS as 3 variants: 300, 730 and 780 and you are able to customize and tune each one of them by your preference. From what we know for now, there will be 2 interior colors option and the interior looks pretty much like the one of the older Volvo models that you might have seen in Euro Truck Simulator 2. Because they now started to collaborate with Volvo in ATS officially, we can expect other new models in the near future. Until then, make sure you enrich your game experience by downloading the best truck mods. Keep on trucking’!